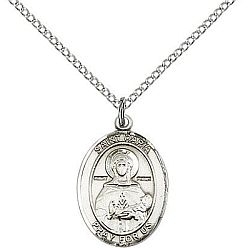 This St Daria medal is a sterling silver saint pendant with a chain and gift box. This medium size is appropriate for girls, women, young boys, and men who prefer smaller religious jewelry. 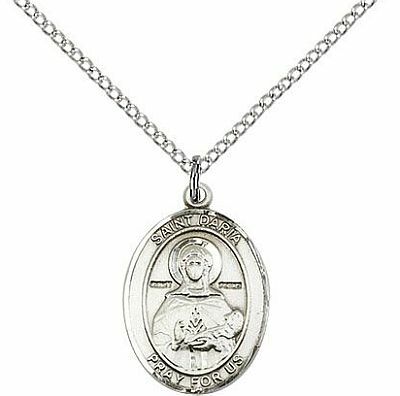 This Catholic medal would make a nice gift for a candidate who chose Daria for a Confirmation name, or for anyone with a devotion to her. She is a patron of Austria and Germany. Her feast day is October 25. We can personalize the back of the pendant for you.